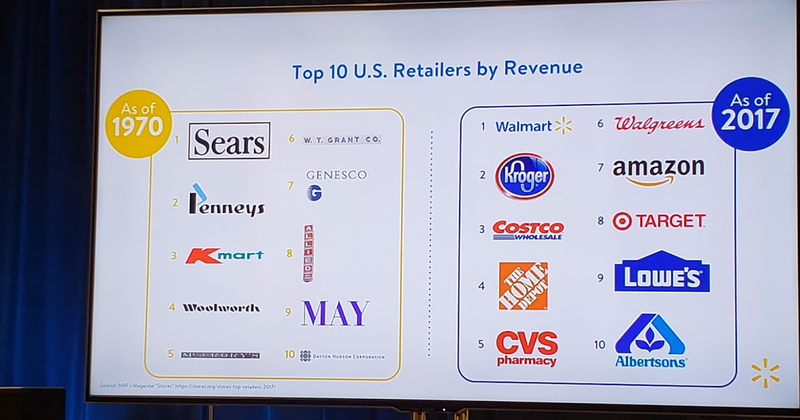 In a series of releases this week, Walmart detailed capital spending plans for a handful of U.S. states, highlighting a heavy emphasis on store remodels and new technology to enhance the shopping experience and efficiency. Walmart has been reeling back new store growth in recent years, in part to devote resources to building e-commerce and generating more out of its existing stores. The company said it intends to spend $11 billion worldwide in the fiscal year ending next Jan. 31, up from $10.3 billion in its previous year, while building fewer than 10 new U.S. stores. That pressures the company to get more from its existing units, which it intends to do through renovations that will expand availability of grocery pickup to 1,000 U.S. stores and delivery to another 800 stores. Walmart also this week revealed plans to roll out new technologies in stores, including the FAST Unloader to increase stocking efficiency (1,200 stores) and automated Pickup Towers that allow shoppers to retrieve online general merchandise orders (900 stores). The retailer is also deploying 1,200 robots to scrub floors and another 300 that will scan shelves for inventory and pricing accuracy. These innovations will free up employees to provide better service in stores, Walmart said. Of last year’s capital budget, slightly more than half ($5.2 billion) went to e-commerce, technology and supply chain initiatives. About three-quarters ($7.7 billion) was spent in the United States. Walmart’s net store count increased by eight units last year with 4,769 stores operating as of Jan. 31. Of the states highlighted in releases this week, Walmart is devoting the most money to Texas ($265 million), Florida ($173 million), California ($145 million), Indiana ($96 million), Pennsylvania ($83 million) and Arizona ($72 million). In Texas, Walmart will remodel 54 of its 595 stores, add grocery pickup to more than 74 units and add delivery to 84 locations. The Lone Star state, along with Florida, will also see a rollout of shelf-scanning robots. Florida will see the addition of one new store—a Neighborhood Market site in Miami—along with 34 remodels. In California, Walmart has plans to remodel 21 stores and build a new Supercenter in Tehachapi. Walmart also invested heavily in Texas and Florida last year, spending nearly $500 million in those two states alone. 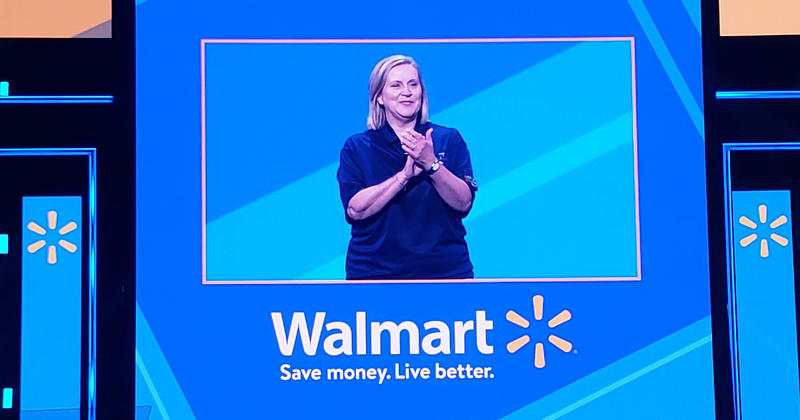 Riding momentum of improving sales and traffic at its stores and web properties—entities that are rapidly becoming interchangeable if not indistinguishable—Walmart had a lot to show off at its annual shareholder week multiday event last week at its northwest Arkansas headquarters. Events included presentations for associates, financial analysts and the company’s annual business meeting, as well as a series of exhibitions for journalists that WGB attended (view my previous coverage here, here, here and here). 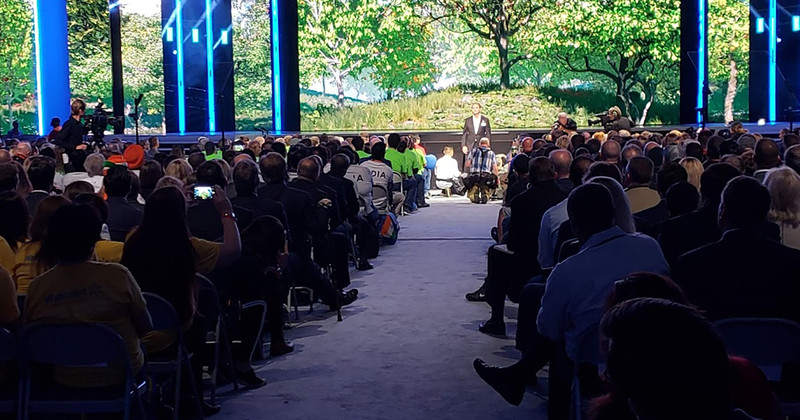 In a keynote address Friday before thousands of associates from around the world and the other company stakeholders, CEO Doug McMillon delivered a message that his strategic decisions were about transforming the company for the future and how important that was amid a changing consumer landscape. Billions in investments toward recasting Walmart into an omnichannel retail giant has left little unaffected, including how its employees are compensated, how employees work to merchandise selections, how customers interact with stores and websites, and how technology is influencing shopping itself. “The common thread in this story is that we’re positioning ourselves for sustained growth, while at the same time we’re finding new ways to serve the customer today,” McMillon said. What follows are more highlights from the trip. While a new initiative providing Walmart associates with options to attend college at a cost to them of just $1 a day could have implications expanding well beyond retail, an arena full of U.S. workers gathered at its associates meeting gave an equally enthusiastic reception to the news that they may begin wearing blue jeans to work this week as part of a revamped dress code. 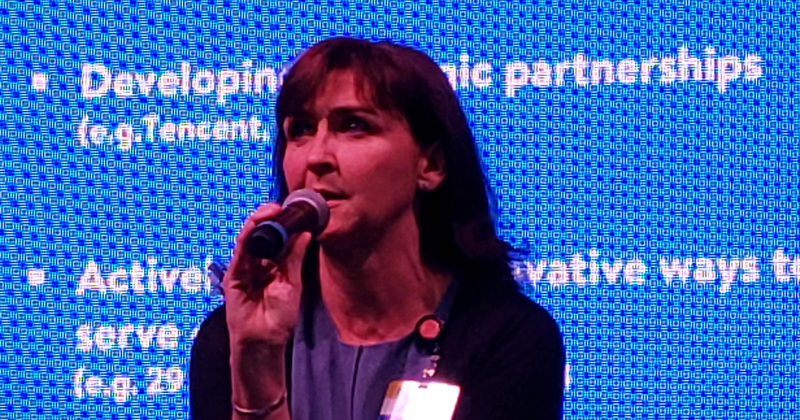 Announced by Walmart's EVP of People Julie Murphy, both of the efforts aim to reduce turnover and improve service amid the tightest labor market in years. During a chat with reporters, McMillon confessed that until recently, he couldn’t dress himself with what he could buy at Walmart. But that’s now changing, too. The recent addition of a Lord & Taylor shop to Walmart's e-commerce site and the acquisition of brands such as Bonobos is helping to expand offerings of brands in categories such as fashion that traditionally have been less developed than food and consumables at Walmart. 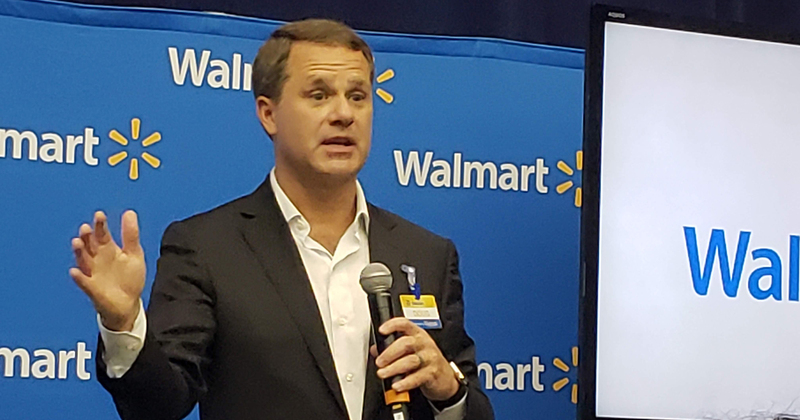 McMillon said it will hopefully also attract more brands to sell with Walmart, which had not, until recently, endeavored further than a socks-and-underwear approach to apparel. At several junctures McMillon and the Walmart executive team faced scrutiny over the big price tag and heavy losses associated with its recent investment in the India-based retailer Flipkart. Officials took care to note that the company made sure that the acquisition wouldn’t interfere with its ability to continue to fund its U.S. momentum. “Walmart doesn’t work without a strong U.S. stores business,” McMillon said. Flipkart, in the meantime, presented a unique opportunity that may have come along sooner than the company might have preferred, but offered more than just a shopping website with a giant audience. “What we were really interested in as we got to know this company better was that it provides a platform—an ecosystem, if you like,” said Walmart International CEO Judith McKenna, who remains at work reshaping the international portfolio to focus on growth markets. In addition to its trading arms, she said Flipkart operates a logistics firm known as eKart, which facilitates deliveries and a mobile payment app known as PhonePe that works not only on the site but between users. “It’s one of the reasons we think there are learnings to be taken back to other business around the world,” McKenna said. 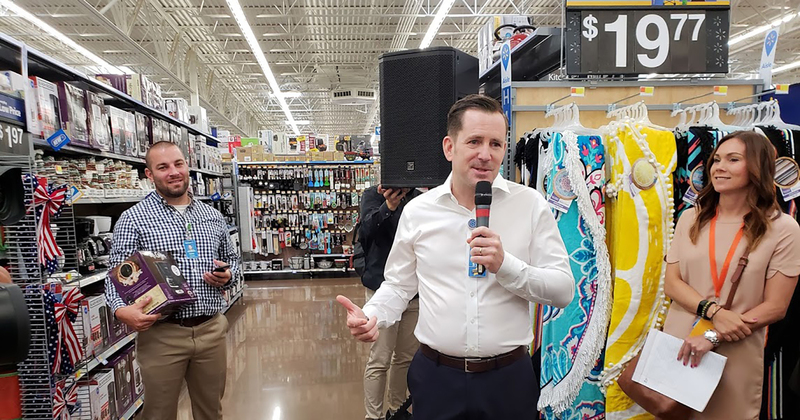 A revamped mobile application is introducing digital capabilities to make shopping easier, said Mark Matthews, VP of digital acceleration, during a presentation at a Walmart Supercenter in Rogers, Ark. Using Wi-Fi, the app transforms into a “shopping assistant” mode when customers enter the store. “Item Finder,” now rolling out at select stores, can direct shoppers to the physical location of any item in stock at the store—a particular convenience for shoppers wandering the vast confines of Walmart stores. Other new capabilities include a streamlined returns process (scan an item, drop it off, skip the paperwork) and a shopping list feature that expands vague terms (such as milk) into specific items associated with the current store inventory. “Technology will be our friend when it comes to the store experience,” CMO Tony Rogers says. With so much effort going toward making Walmart Supercenters easier to shop, it’s worth pondering whether the company’s small-store Neighborhood Market format makes as much strategic sense as it once might have. The event passed with few, if any, mentions of the food-and-pharmacy format. 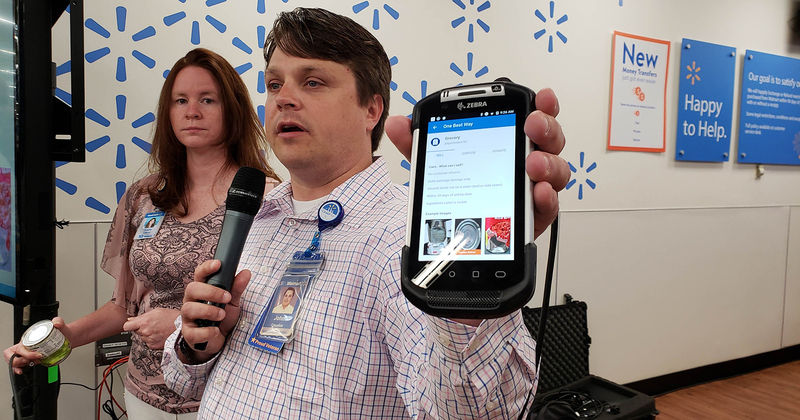 Walmart associates are now using apps of their own—available on store-distributed handheld devices or their own mobile smartphones—to tackle some of the more tedious tasks of the day, said John Crecelius, VP of central operations. The new Claims app, for example, helps workers to quickly account for and determine the proper fate of damaged or unsaleable goods. Where associates previously would make a decision to mark down, discard or donate such items using a large paper binder, the Claims app presents their options with a simple scan, helping to reduce waste and better comply with health and safety standards. 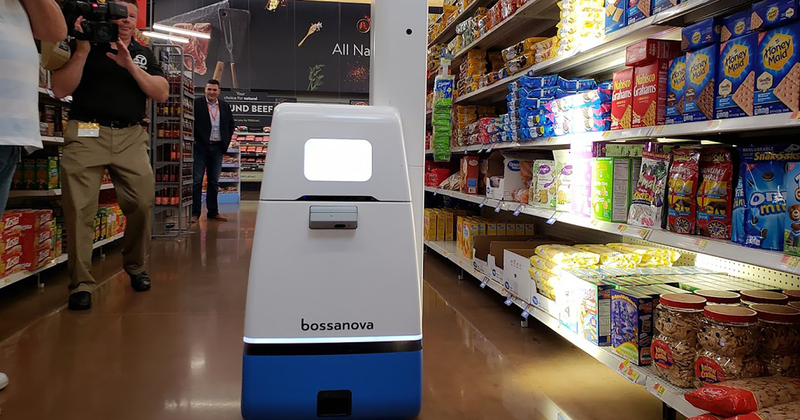 A scanning robot called Bossa Nova is now traveling the aisles at select Walmart stores in search of misplaced or mispriced items, stock conditions and inaccurate item price-tag info. But obviating the need for workers to take on this time-consuming task of inventory is only the beginning. They're using the info Bossa Nova provides in conjunction with apps, such as Downstock, that show them the items the robot indicates are out of stock and where to find them in the store, significantly reducing the time it takes to identify and resolve issues. Bossa Nova data is also reverberating in the stockroom, where some stores are now processing incoming inventory through a new system called the FAST Unloader (Flexible Automated Sorting Technology), a conveyor belt that takes cases—more than 20 per minute—from a loading dock, through a scanner where they are directed to carts in various staging areas based on priority or store department. This succeeds a manual version of the same process that took twice as many workers (eight vs. four) and considerably much time, officials explained. Dozens of Walmart merchants—literally parading through an entire hotel conference room—spoke of an effort to improve Walmart’s quality image through exclusive branded products, reformulations and private brands at strong values. 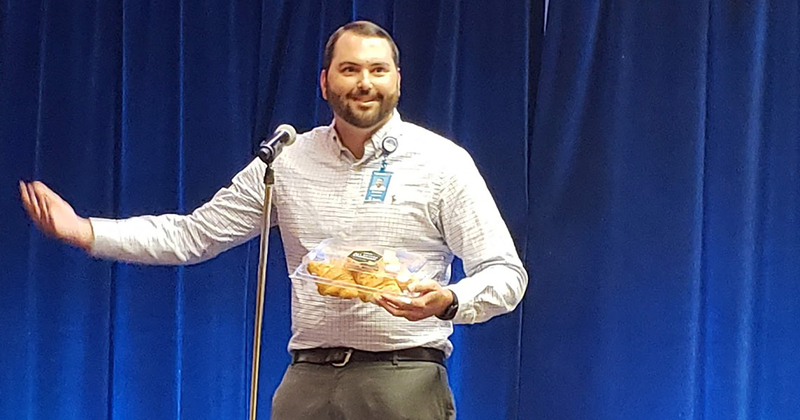 Bradley Underwood, Walmart’s bakery buyer, said the company this spring rolled out reformulated croissants under the Marketside brand, completing a two-year reinvention. Working with its supplier, Walmart changed the ingredients from all-margarine to all-butter—24% of the fat content now courtesy of the latter, Underwood proudly said. The revamped lineup of five croissant SKUs, priced at $3.98, launched in April. Sales have doubled since. Merchants also discussed quality evolutions in the selection of beef at stores; first-to-market launches of items such as “snacking-inspired” breakfast cereals (Post’s Nilla Banana Pudding); expanded selections of on-trend foods such as RxBars; and a new approach to private label wines. Walmart is also learning to attack formulations carefully. The company’s deli pizza buyer said an effort to boost sales of its popular Marketside pizzas through reformulations turned off the existing fans of the $8 item, and sales subsequently cratered. A relaunched “old-and-improved” product hit the delis two weeks ago chainwide. 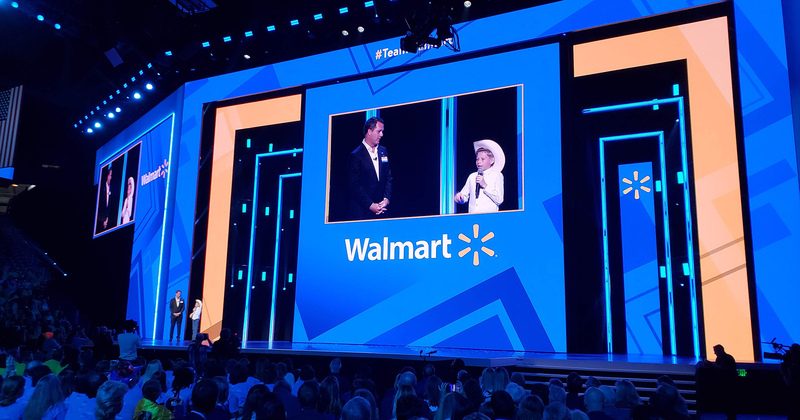 Though Walmart this year separated the business portions of its annual meeting from the star-studded associate celebration, the entertainers—and the board of directors—came out just the same. Host Jamie Foxx encouraged sibling heirs Alice (68) and Rob Walton (73) to boogie on stage to a medley of dance hits; musical performers included Carly Rae Jepsen, the X-Ambassadors and Jason Derulo—not to mention “Walmart Yodel Boy” Mason Ramsey, the young singer whose impromptu performance in a Walmart store earlier this year got 49 million views on YouTube. If that provides any lesson for retail it could be that everything just seems to go better once your traffic is going in the right direction.